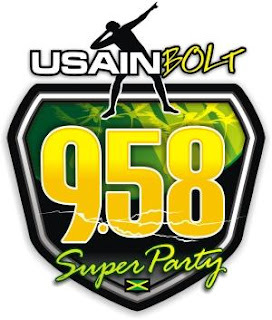 Usain Bolt and his management team have announced that they will host a two day series of activities ending with a one-of-a-kind SuperParty, December 4-5, 2009. The series of events will include a celebrity sports clinic, a celebrity media reception, a visit to Sherwood Content by Usain and his specially invited guests, and will end with a SuperParty that will feature live local and international entertainers, along with guest disc jockeys. The party will host international celebrity athletes who have become friends of Usain, and who he will personally invite, along with his Jamaican team members and other Jamaican athletes, to come celebrate with him. The party will not be just a celebration, but will also be a way to raise funds for charity and community activities. One major activity will be focused in Usain’s hometown. “Currently the medical centre in Sherwood is built on leased land”, Mr. Peart advised, “and there is the possibility that they may be forced to move as the land may go for sale. We want raise funds that can go towards helping with the purchase of the land, so that the centre can have a permanent home, and also be refurbished. Depending on how much we are able to raise we will also funnel funds through the United Way to other worthy charities”. Turnkey Productions has been appointed by the Usain Bolt management team to produce, manage and market the event. My team which is made up of several top class professionals will be putting the full force of our production and marketing expertise behind the event. We are thrilled to be working with Usain and just like him everything is going to be the best”, expressed Walter Elmore, head of the production company. While details of the entertainers are still to be finalized, Elmore did stress that these will be chosen from the top local and international artistes. “Usain himself will be inviting the celebrities who he would like to attend and believe me the list is exciting” he hinted. The 9.58 SuperParty will take place on December 5, 2009 at Richmond Estate in St Ann. This venue will provide a beautiful and spacious setting and will be able to offer more than adequate and secure parking. It will also be in close proximity to many hotel rooms which is important as the event is expected to attract many overseas patrons. It’s definitely going to be an event to remember and all are invited to come out and enjoy it while supporting some very worthy causes. Keep checking http://www.usainbolt.com/ and the press for more information.